You’ve made it to the promised land: you’ve got a full drum kit and you’re ready to hit the road! But slow down there…you might want to double check to make sure you’ve got everything in line before you jam that minivan full of cymbals and shells. You may notice that certain aspects of your kit are falling short: toms are ringing like crazy, you can’t get the snare tuned how you want it, etc. If you aren’t getting what you want out of your kit, or even your playing style, you may be in need of a few drum accessories that can help you out. There are tons of add-ons out there, so it can get overwhelming finding what fits you best. No need to worry though — we’ve scoped out a few key drum accessories that will help get you where you want to be, both sonically and playability-wise. When I first started playing, I tried tuning by ear and it would take me an extremely long time to get what I thought was “in tune.” The problem with this is that I didn’t really know what in-tune sounded like. 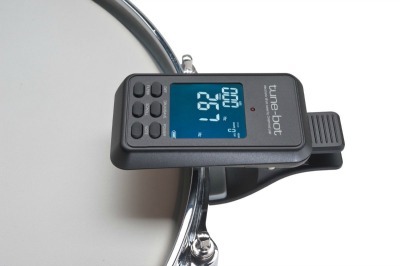 With a drum tuner, you can train your ears to distinguish the good frequencies from the bad. So yes, this means that you can finally put an end to that long, infuriating process of trying to make sure each lug is in tune with the others strictly by ear. 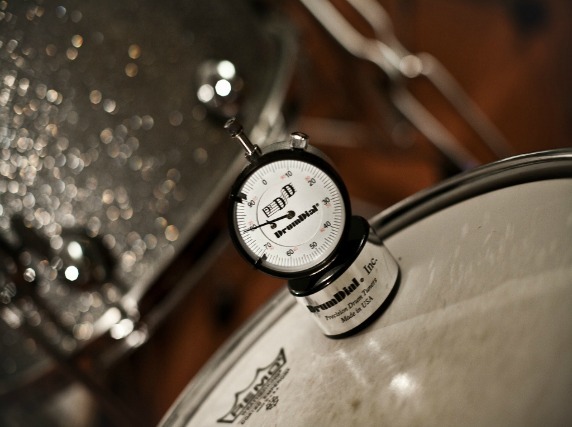 There are many kinds of tuners out there, but the DrumDial is a classic. This simple method measures the drum head’s tension, and it makes the DrumDial the perfect go-to for drummers just starting off. All you need to do is simply place the tuner an inch or so from each lug and adjust the tension so that they all match evenly. It’s really that simple. I’ve used one of these for years and they work great. 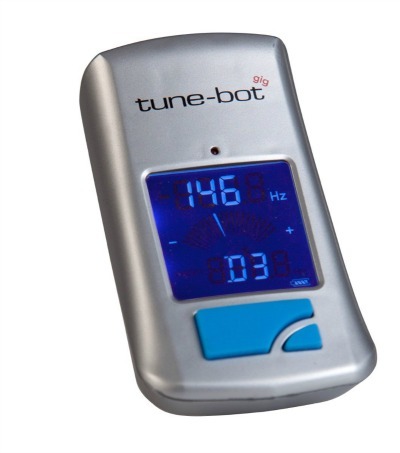 However, I did recently get my hands on the Tune-bot Electronic Clip-On Drum Tuner and I am loving it. There is a little bit of a learning curve with this one, but once you get past that it’s gold. 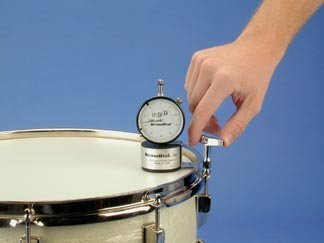 This device measures the frequency that the drum is producing, allowing for a more accurate tuning. You place the Tune-bot above the lug, tap the surface of the head that is about an inch or so away from the lug and it will read that lug’s frequency. Choose a frequency you like, and tune the rest of the kit to that same frequency. This is great for all levels of playing, whether you are just starting out, or you have been playing for years and just want to keep a consistent sound. We all know tuning can be frustrating because every drum has its sweet spot, and finding that sweet spot isn’t always easy. So when you finally lock in the perfect balanced sound on your toms, or the perfect crack on your snare, you’re going to want to reproduce that every time. Well what’s cool about the Tune bot is that you can store and save frequencies. Going back to consistency, this allows you to pull up your saved frequencies for each drum and get right back into that sweet spot. These will save your life. Drums pads are something every drummer should have. These things come in handy in places where loud noises aren’t welcome. If you are like me and live in an apartment, you can’t slam drums at 8 p.m. when you come up with a pattern or rhythm you want to try out. Grab yourself a drum pad and you’re good to go. 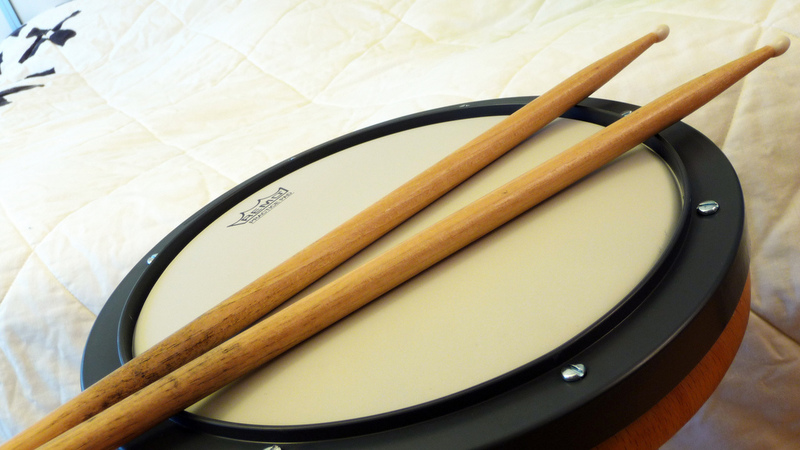 These are also great for working on rudiments and increasing your speed. Having a consistent object to practice on (instead of a couch cushion) is really important in keeping your practices efficient. Most of the drum pads out there are pretty solid. 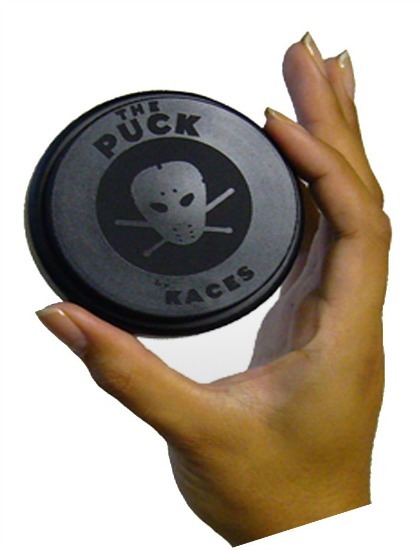 Kaces’ the Puck is awesome because it’s only 3 inches, allowing you to basically fit it in your pocket. This is perfect if you are someone who is on the go or just doesn’t want to lug around a large item. Want something bigger? 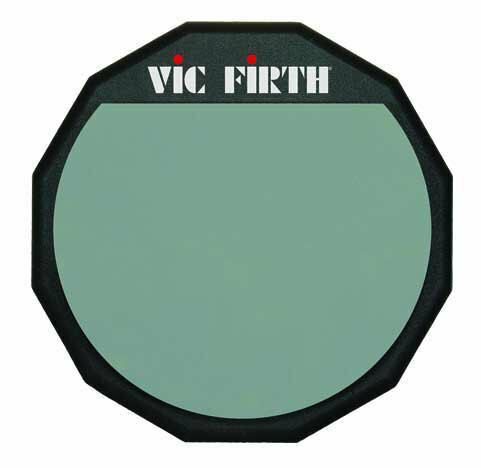 No problem: get your hands on the Vic Firth Soft Surface. This is a 6-inch pad made of soft rubber for the quietest of practices. 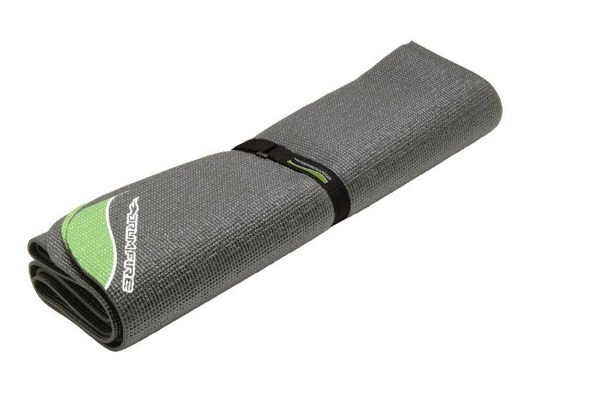 Because these pads have rubber surfaces, they are great for working on your rebound and rolls. When you practice on random surfaces, you are constantly changing the playing feel, and some surfaces are more accurate to drums than others. It’s good to have a consistent surface to practice on that can allow you to work on multiple aspects of drumming, instead of objects that are one dimensional. If you still aren’t satisfied and want to go even bigger, you can get a DW Go Anywhere Practice Set. 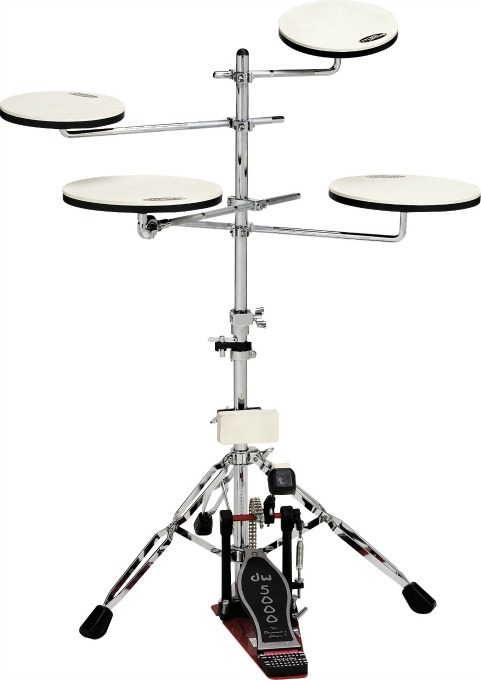 This consists of 5 pads (including a bass drum pad) arranged like a drum set: the ultimate practice setup. 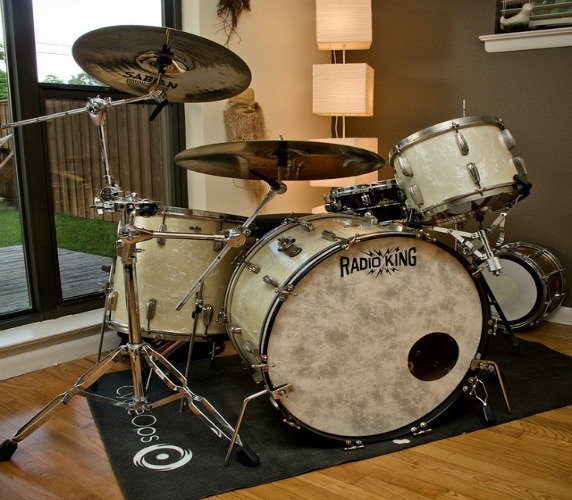 This way, you have a full practice kit to slam on when the roomies go to bed. A word of advice: this kit doesn’t come with a pad to simulate hi-hats, so you’ll want to get the Evans Sound Off Hi-Hat Mute Silencer. 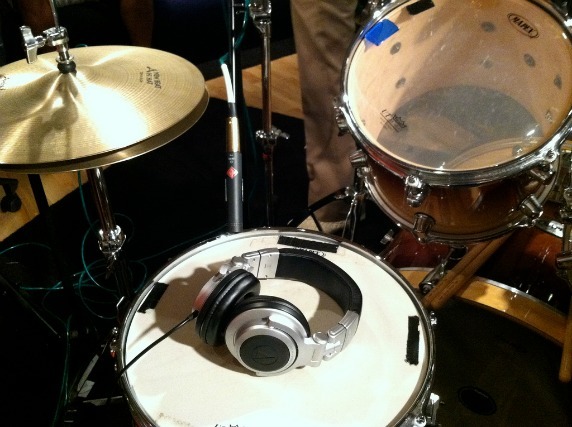 Just use your regular hi-hats, but throw one of these mute pads on it and you’re good to go. 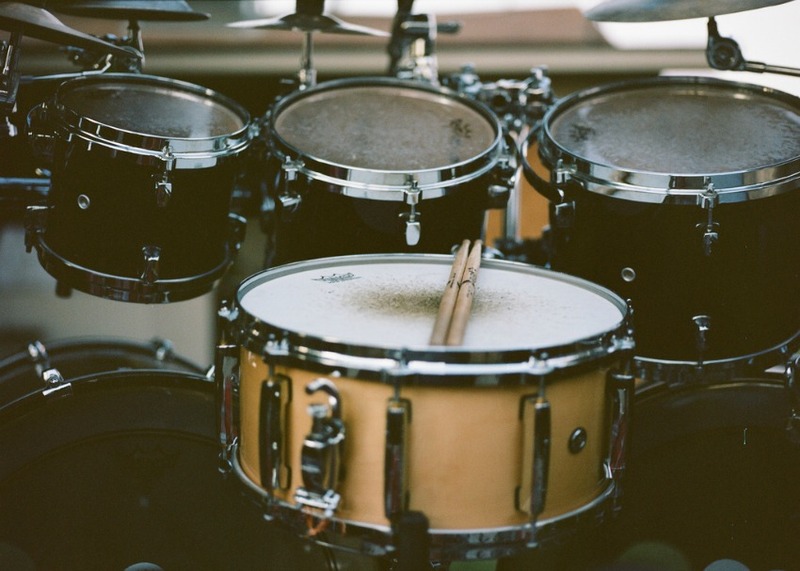 When you get your kit all set up, tuned and everything, you may notice excessive ringing or overtones from your shells. It happens all the time, even with high-quality shells. This is due to various reasons, including head choice, thickness of shells and especially tuning. 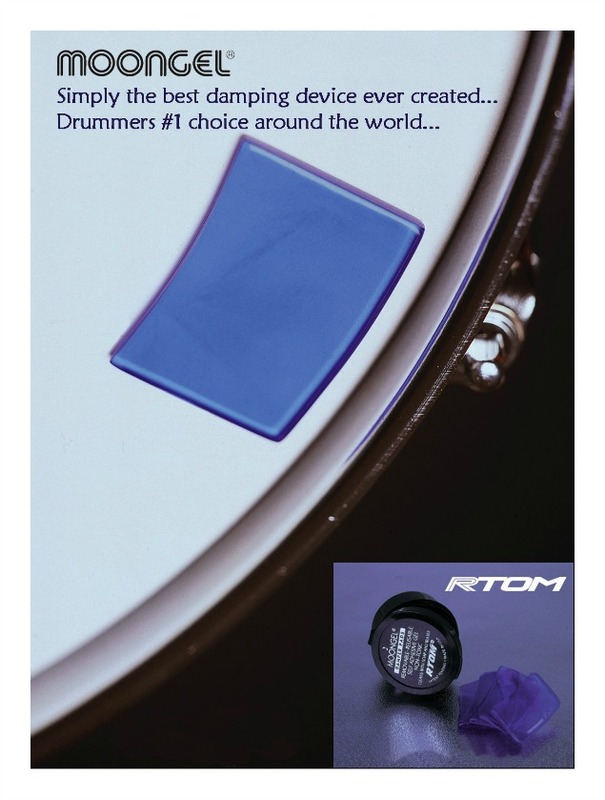 In the good old days, drum companies use to have internal muffling pads known as Tone Control knobs inside the shells. It’s hard to pinpoint when drum companies first started using this, but I’ve seen kits from as early as the 1930s with these devices. As head technology grew–with heads offering greater muffling–along with external dampening objects and the demand to keep the shell more “pure” from objects that screwed into the drum, the implementation of internal muffling devices died off. However, not everyone has the luxury of getting whatever kit they want, with whatever heads they want on it to help eliminate that ring. Sometimes you’ve got to improvise and work with what you’ve got; that’s where drum dampeners come in. These are very popular and there are a lot of different variations to choose from. 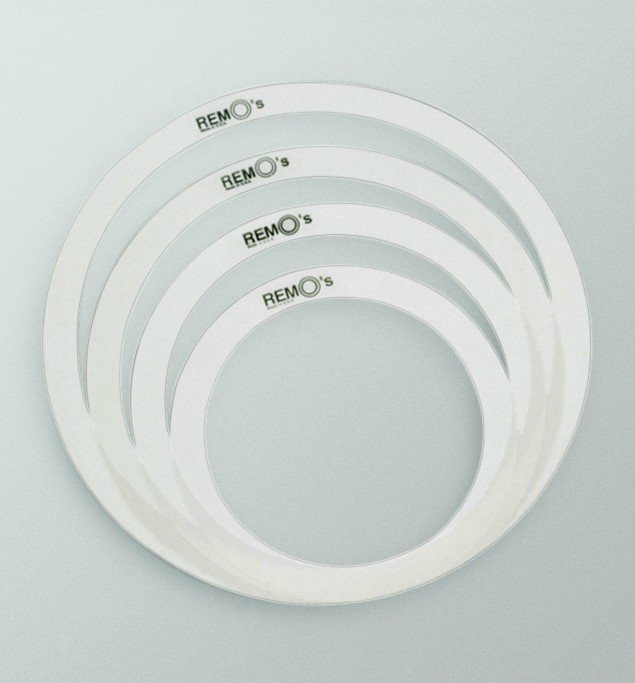 You can go the route of dampening rings, such as RemOs Ring Pack. These are designed to fit the diameter of each drum you have, so they are specific to size. The advantage with this is that because they cover the whole diameter of the shell, they offer consistent dampening around the entire head. There also are more universal options such as Vater’s Buzzkill or MoonGels. These are small gel-like adhesive tabs that you can slap on the head of any drum; you can even cut them up into pieces and separate them around a head. These help give you more control over the amount of dampening. You can put multiple tabs on a snare and get that fat full bodied sound, or you can take a few off and get more of a balance between crack and body. Are your toms producing slight overtones, but dampening rings kill the sound too much? Throw on one of these gels to give you that little extra dampening you need, without deadening your sound. Dampeners like these are key for studio drummers because they allow you to adjust your sound on the fly. When you are playing with different bands, you need to have that accessibility and be able to mold your sound into different styles. 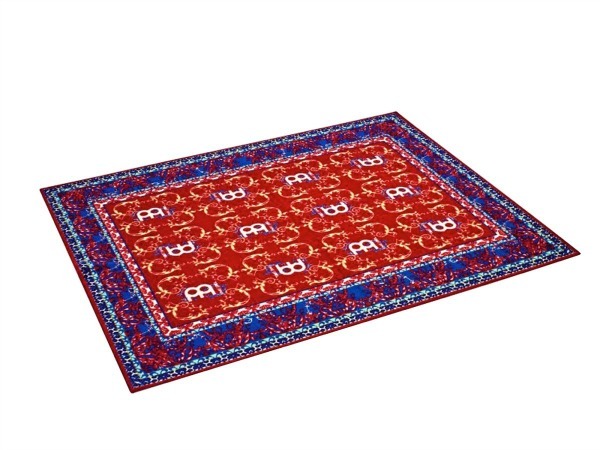 Rugs may seem like an odd accessory that you don’t really need; at least that’s what I thought at first. However, they’re something you really don’t want to sleep on (terrible pun). 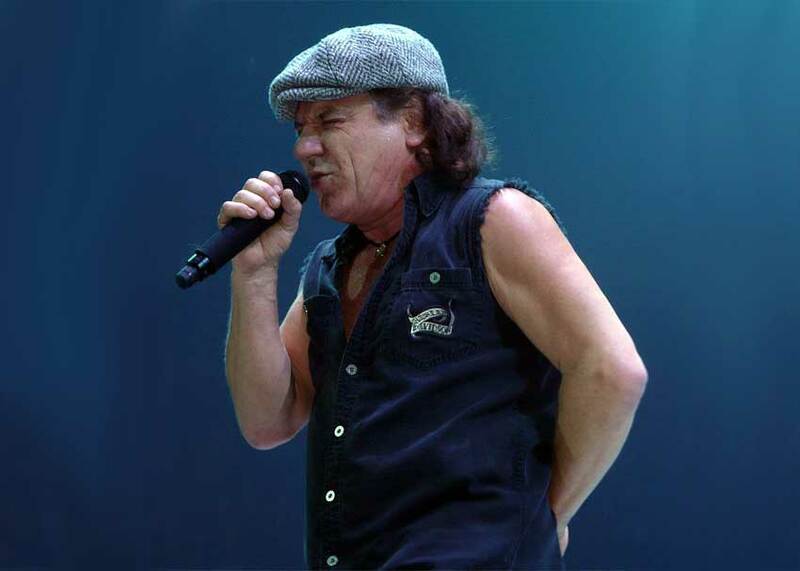 Now, while your room or house may have nice soft and furry carpet to keep your kit from moving around, the run-down DIY venue in Johnny’s basement down the road might not. I can’t count how many times I’ve showed up to a venue and have had to create a make-shift rug or put some massive cement block in front of my bass drum to stop it from moving. This can be super frustrating, because a lot of times you won’t even be able to do that. Now you are left with a kit laying down on a hard wet cement floor, causing your kit—stands and all—to move wherever they please. Save yourself the time and pick up one of these carpets. There are a few out there, and most of them will get the job done. I usually lean towards On-Stage Drum Fire. This is mainly because its super compact, rolls right up and doesn’t get in my way. 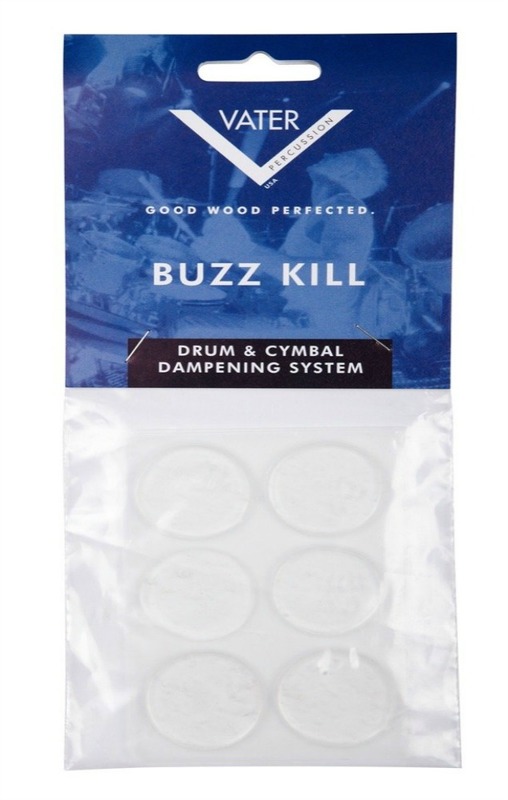 They also offer them in two different sizes to meet all of your large double bass drum needs. 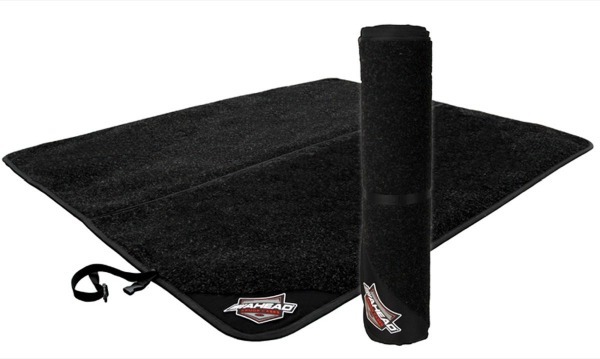 Please look into mats and save yourself the hassle. One carpet can go a long way for a gig. Before I begin this bit, I recommend you grab all of the crummy ear plugs you bought from your local convenience store and get rid of them. Put waste to their vile existence and free your ears. 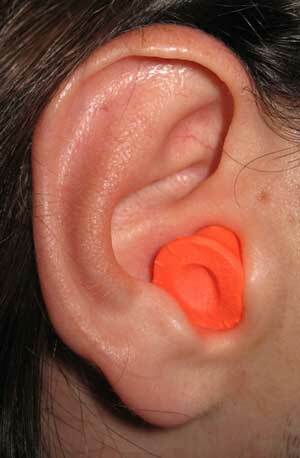 Those earplugs were not designed for playing music. Most of them are designed for shooting guns or mowing your precious lawn, so their sole purpose is to muffle and dampen the sound as much as possible. With that being said, if you put these on while playing live, they will cut out the frequencies you need/want to hear. That is why earplugs are so important, especially for a drummer. 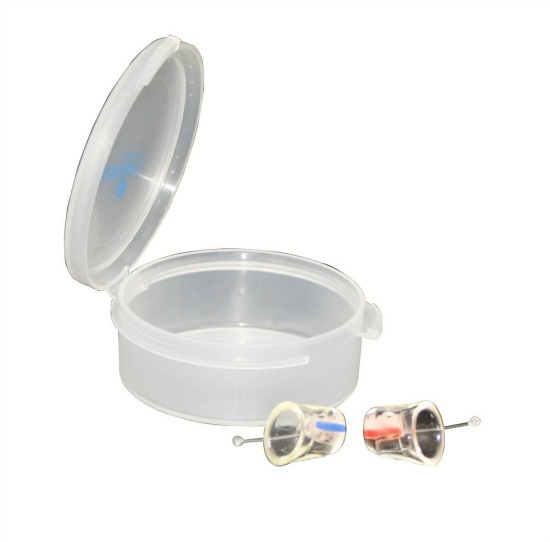 You take on arguably the most amount of volume to your ears as anyone in your band, so you need something that will protect your hearing while giving you a good balanced sound. 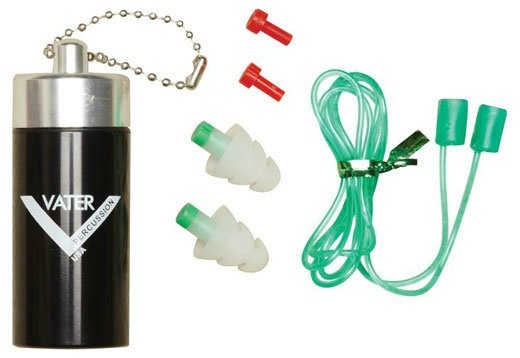 Like many other drum accessories, there are a lot of ear plugs to choose from. I would recommend checking out Earasers. These are great because they give you the ability to actually distinguish between the notes of your guitar players sparkly leads, while cutting down the volume of everything. They have found a way to eliminate the high frequencies without drowning out the sound. I use them all the time and they work perfectly for me. Not everyone is the same however; you may enjoy more muffle then others, that’s why there are many different kinds out there to choose from. I’ve found that the Vic Firth High-Fidelity Ear Plugs work very well, but they muffle the sound a little more than I prefer. But if that’s what you’re looking for, I would scoop those up.